Accident abroad - how to handle? 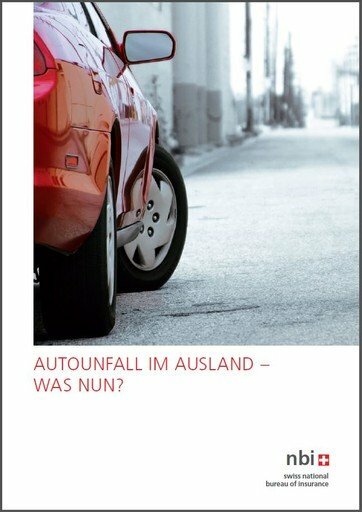 The leaflet on the left (in German and French only) contains useful recommendations on how to behave in case of an accident abroad. The European Accident Report is in general provided free of charge by the motor insurers. It is available in various European languages. The layout and the content are identical in all language versions. The parties must fill in the accident report in a clear, unambiguous manner. It is important to provide a sketch of the accident and to mention the names and addresses of witnesses. It is recommended to add a photography. The report must be signed by all the parties involved in the accident. The signature of the accident report does not imply a recognition of liability. The signature constitutes an acknowledgement of the the correctness of the facts recorded in the accident report. The copy of the report signed by the other party has to be handed out to the latter.